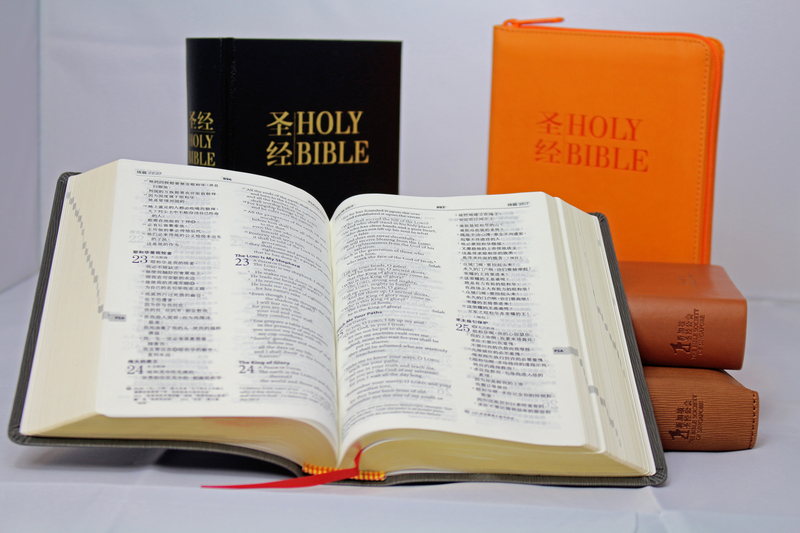 The Bible Resource Centre makes Bibles and a wide range of other Scripture resources available to people from all walks of life. 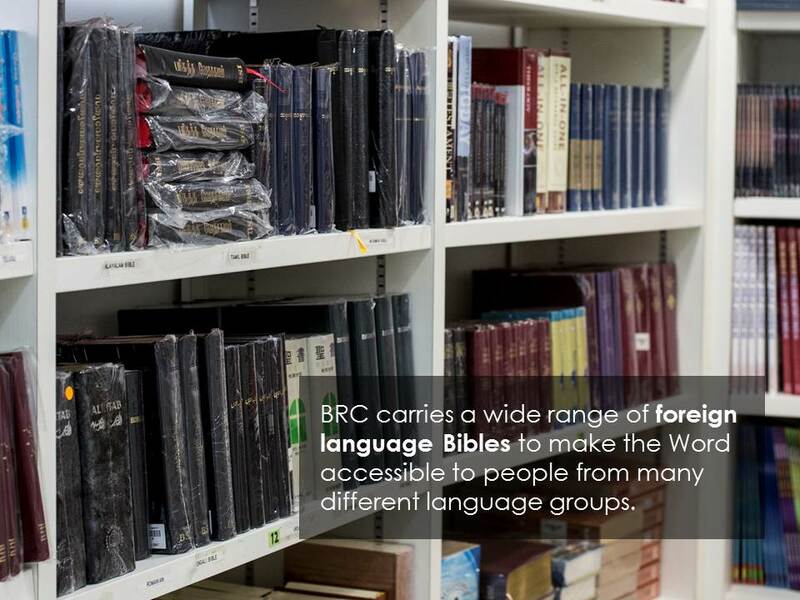 The BRC is also the hub of operations for the Bible Resource Network, which works to make the Word accessible to people from many different language groups, and is active in resourcing BSS' Bible Mission Trips, where teams participate in distributing Bibles to Christians in various regions. We believe that one of the most important things Christians can do in their walk with God is to be continually learning and growing in their faith. 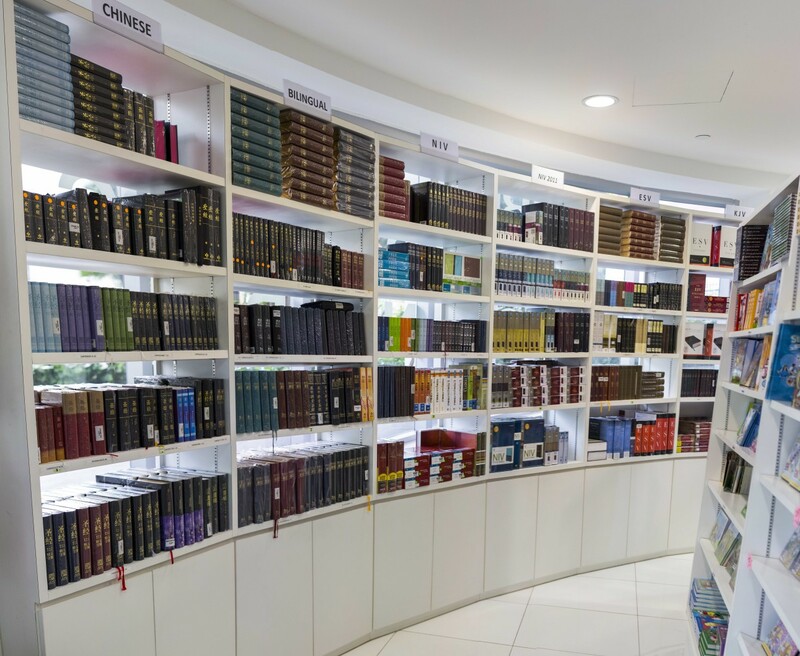 This desire has led to the Bible Society partnering with churches to set up bookstores that are run by the church but supported and resourced by the Bible Society. 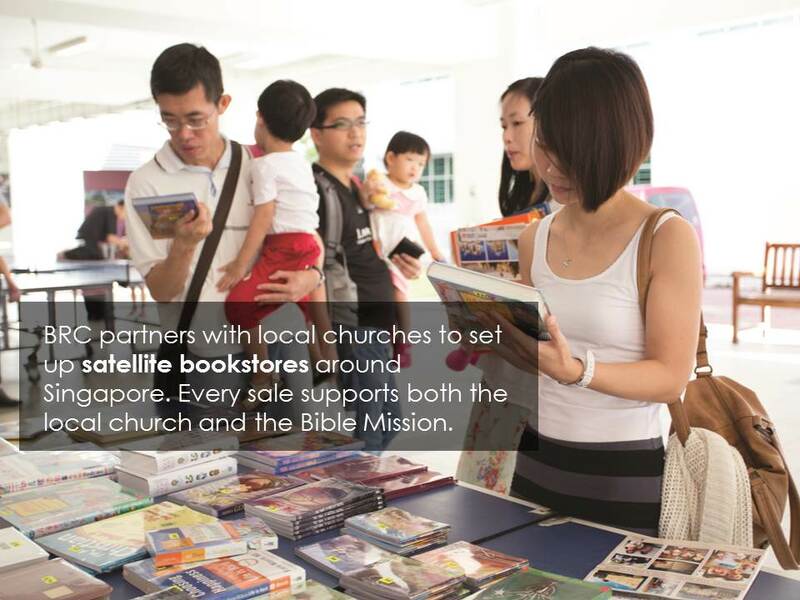 The core purpose of Bible Society Satellite Bookstores is to give people access to a vast array of Christian resources while simultaneously funding the Kingdom of God. 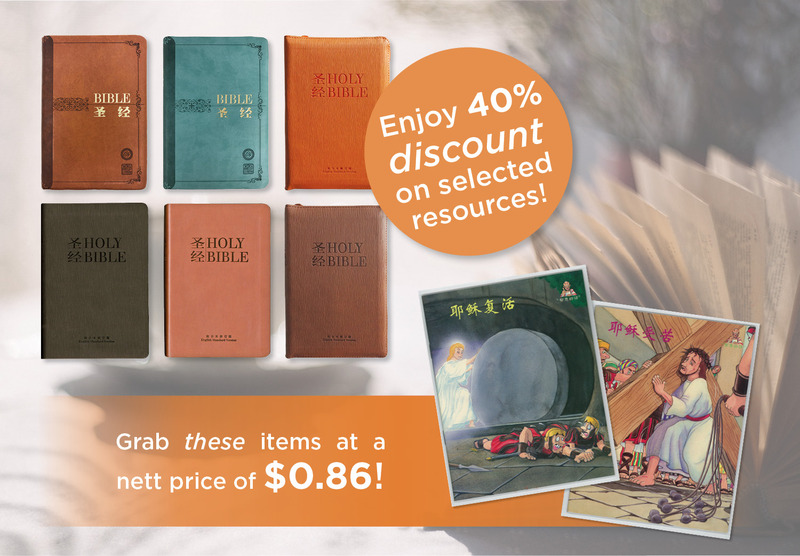 Since a percentage of the proceeds go to funding both the church's mission fund and the global Bible Mission, these bookstores provide a wonderful opportunity for churches to build up their members and support missions simultaneously. Ms Ler is a regular patron of BRC, often purchasing Bibles and gospel booklets in order to give them away. She highlights important verses about salvation and prays for God to show her who to give them to. She's been doing this for the last few years and she's given away a few thousand copies of Bibles and gospel booklets to strangers to reach out to them with the Word of God. 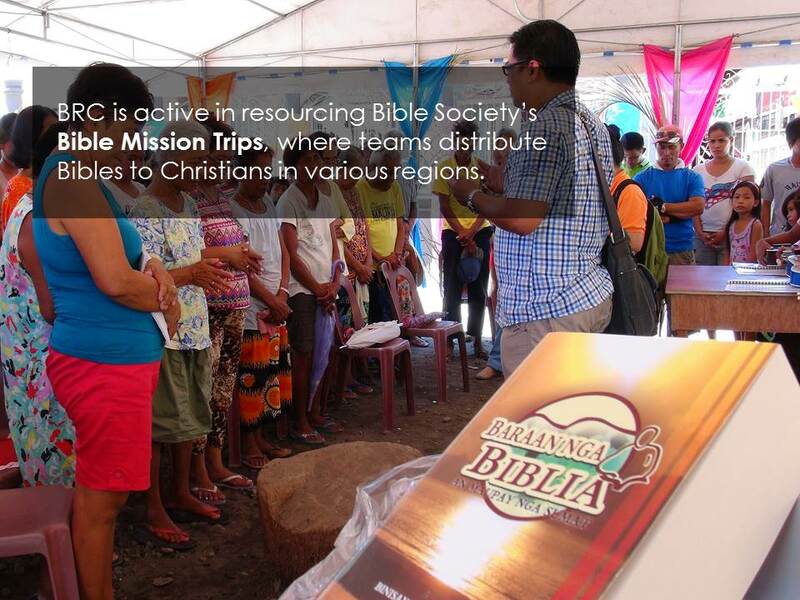 A BRC supporter from Singapore moved to North Carolina, USA and requested a Jarai Bible for a church there. The Jarai is a fiercely independent, indigenous hill tribe in the highlands of Vietnam with their own written and spoken language. They were one of the earlier hill tribes in Southeast Asia to be evangelized to and convert to Christianity. The people committed over the years to reach out to their community in North Carolina with a small church in their language. The Jarai church in North Carolina is growing and they need the Bible in their heart language. This is particularly important as the older generations for these migrants find themselves totally homebound because of communication challenges. 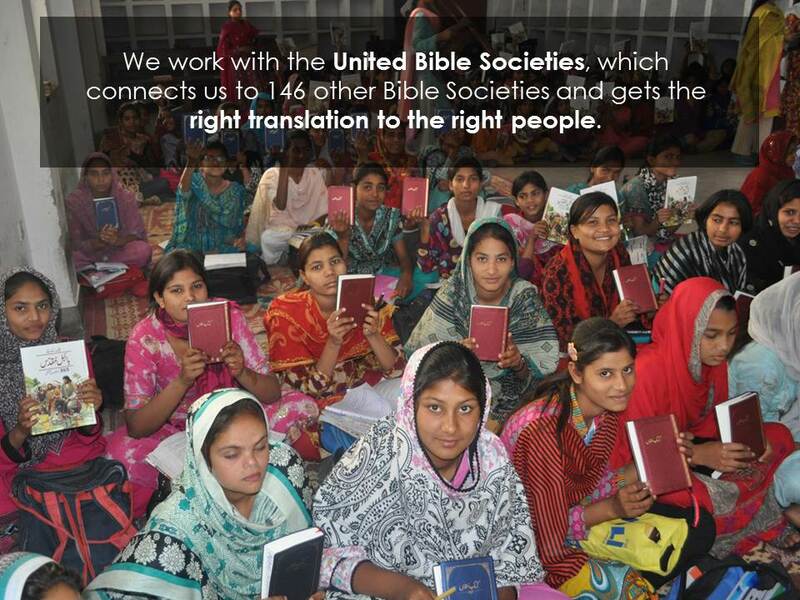 The BRC managed to help them find the Bibles and got send them to the States.